Filling, creamy, big bowl of cinnamony oatmeal (or chocolate or strawberry, lots of possibilities). 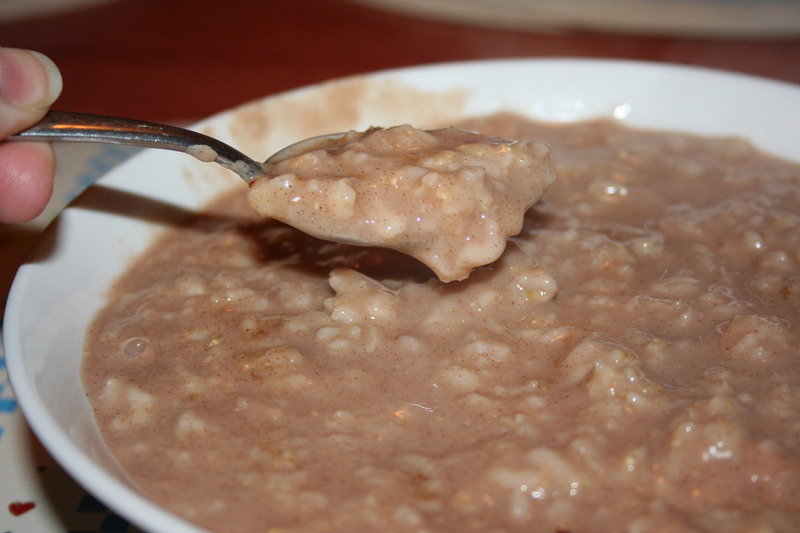 Growing up when we had oatmeal, it was generally the standard old fashioned rolled oats. Mom made it following the directions and served it with buttered toast. Our oatmeal was nice and thick and could be easily situated on top of the toast, if so desired. 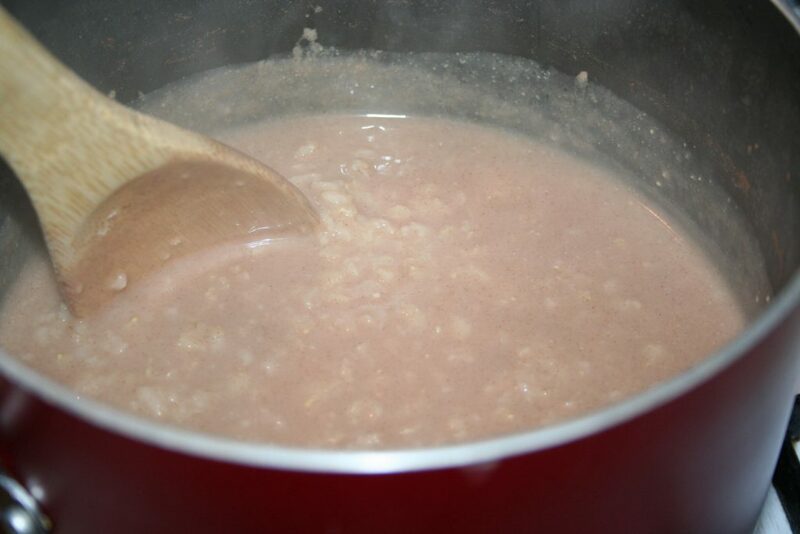 Of course, I put LOTS of sugar in my bowl of oatmeal to make it nice and sweet but also a little less dense. The thought never occurred to me, to add milk. I attempted the Big Bowl Cinnamon Oatmeal (THT pg. 354) recipe, the first time, with some reservation. But I needed a THM E (carb meal) breakfast and this promised to be a BIG bowl with substance. WOW! I was surprised and impressed. This is now my favorite way to eat hot oatmeal. Well, since I cannot have a nice piece of toast slathered in butter and still lose weight. I made a double batch because Tiffany and I both wanted a full serving. The written directions will be a single serving though. I just didn’t want you thinking what I made was a single serving. 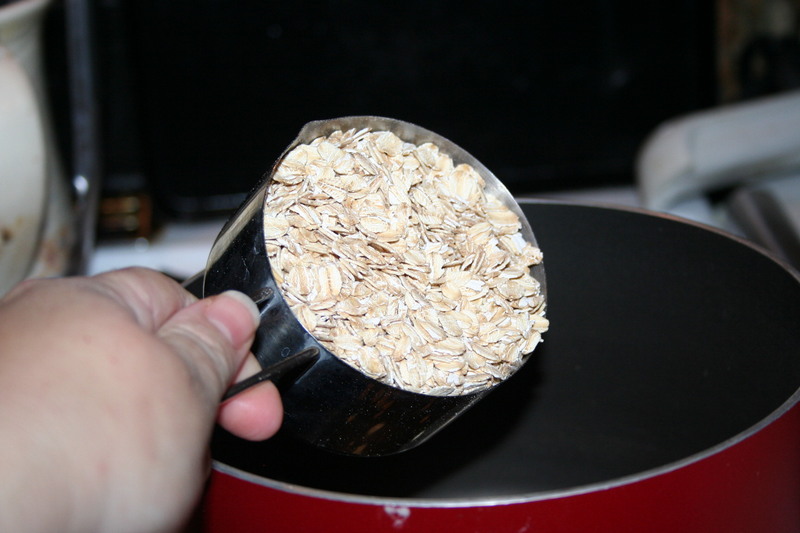 Put 1/2 cup of oats in a pot. 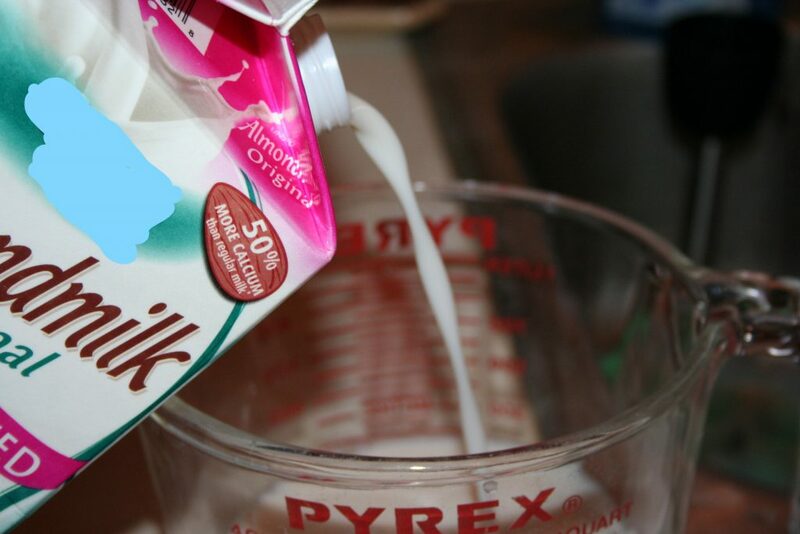 Then add 3/4 cup almond milk (or whatever milk you prefer). Next add in a cup of water, your desired sweetener, a dash of vanilla, and some cinnamon. Bring it to a quick boil. I put the lid on so that it boils quicker. 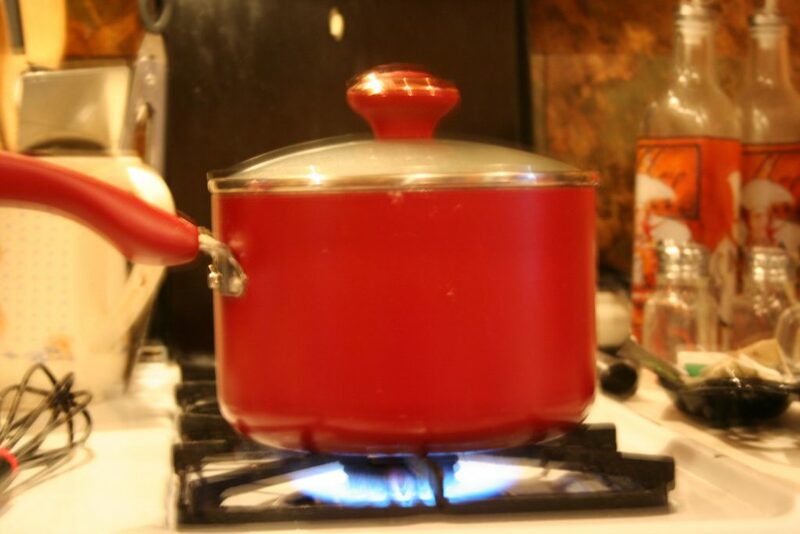 After it comes to a boil, reduce the heat to low and remove the pot from the heat for about 30 seconds, then return the pot to the burner with the lid on and let it steam for 10 minutes. During that ten minutes the oats will begin to plump. 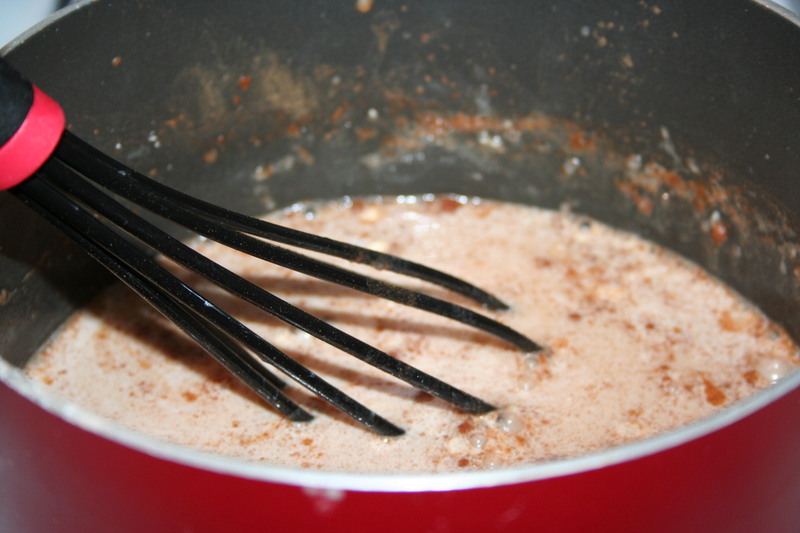 Then turn off the heat and let it sit for another minute or two, to thicken up a bit more. I know you cannot tell how much this thickened up, but trust me, it is no longer runny. 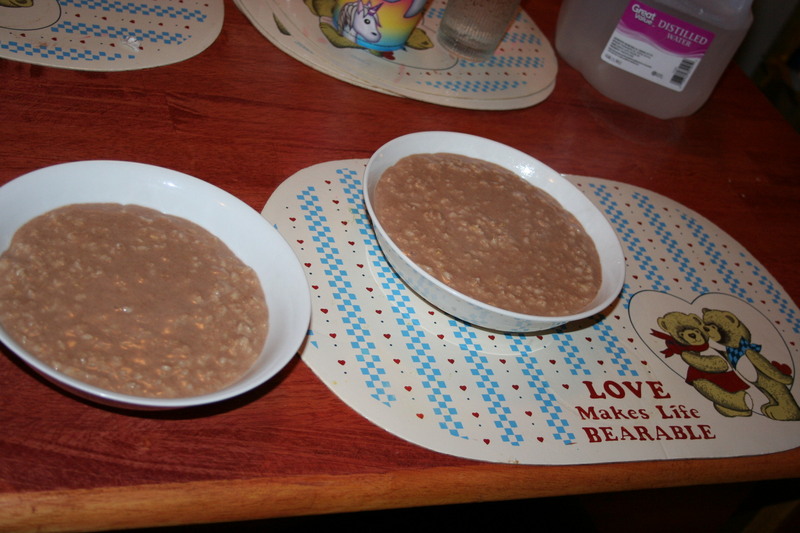 Okay, I did give myself a bit more of the oatmeal than Tiffany because she doesn’t eat all of hers. 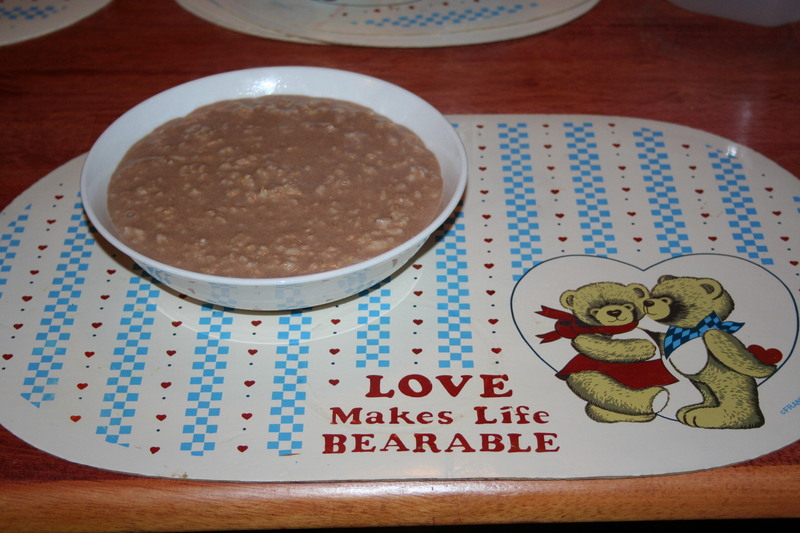 This next picture isn’t that great but you can see that the oatmeal is not thin. Put everything into the pot and bring it to a quick boil. Reduce heat to low and remove pot for about 30 seconds or so to let it cool down a bit. Place it back on the burner and put a lid on the pot for 10 minutes. Then remove pot from the burner (turn the burner off) and let is sit for another minute or two to let it thicken up a little bit more. Sprinkle with a little cinnamon "sugar" on top. I hope you enjoy this as much as we do. I’m amazed how full I can get on a 1/2 cup of oatmeal.